It's been a while! How are you?! But I'm so excited about this one, I had to come share! I've opened up a new Etsy shop to showcase my latest collection of creations! You'll find arm warmers and leg warmers for now, but I'll soon be adding many more items, so stay tuned! 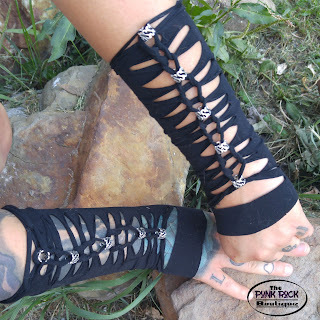 My creations are inspired by the punk / rock / goth / steampunk styles, be sure to check out The Punk Rock Boutique to see more!